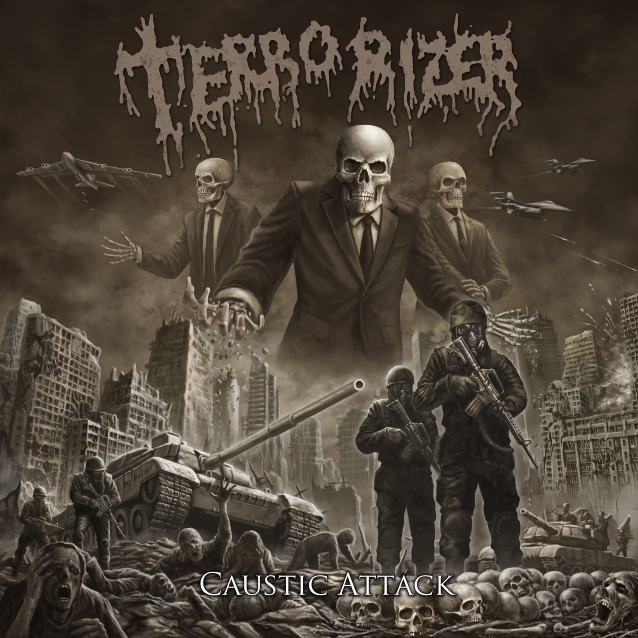 “Caustic Attack”, a new song from American grindcore icons TERRORIZER, can be streamed below. The track is the title cut of band’s long-anticipated new full-length, which will be released on October 12 via The End Records. Produced by Jason Suecof (DEICIDE, ALL THAT REMAINS, KATAKLYSM, BATTLECROSS) at Audiohammer Studios in Sanford, Florida and featuring the apocalyptic cover art of Timbul Cahyono (ROTTING CORPSE, PYREXIA), the record serves as the band’s first studio offering in six years.